We offer a large variety of standard seals as well as custom designed products. R&J’s seals are molded, not machined, so we can guarantee the quality of each and every seal that leaves our manufacturing facility. Molded seals are ideal to assure longer performance on the job reducing downtime and resulting in increased production as well as time and cost reduction. Tooling charges are held to an absolute minimum, or even eliminated, because we carry a large inventory of molds. 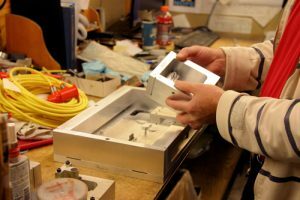 When we build a mold for the seal you need, we re-use the mold on all future orders. This eliminates the problems normally associated with the high-cost of using the high quality, molded seals that we provide. Our 50 years of experience means we can provide you with excellent, professional engineering and design services at competitive prices.